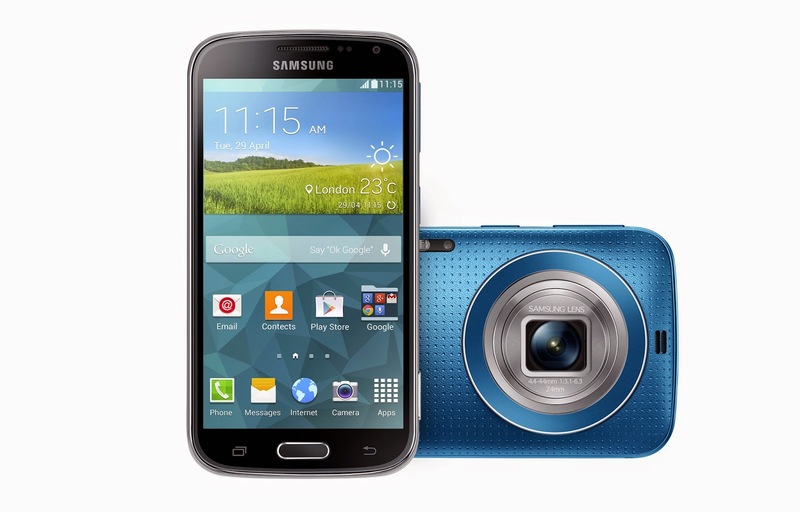 Samsung announced today their latest devices called Galaxy K zoom camera phone which like its predecessor (Galaxy S4 Zoom) combines smartphone technology with a hardware point and shoot camera. The smartphone "side" of the devices has a 4.8-inch, 1280x720 resolution Super AMOLED display, Exynos 5 Hexa SoC with six CPU cores comprising of four 1.3GHz ARM Cortex A7 and two 1.7GHz ARM Cortex A15; along with a Mali-T624 GPU, 2GB RAM, 8GB internal memory with microSD support (up to 64GB), LTE, Bluetooth 4.0, Wi-Fi 802.11 a/b/g/n, NFC, 2,430mAh battery and Android 4.4 KitKat. While on the Camera "side" of the device there is a 20.7 megapixel 1/2.3 BSI CMOS sensor and a 10x, 24-240mm F3.1-6.3 zoom lens with optical image stabilization (OIS). 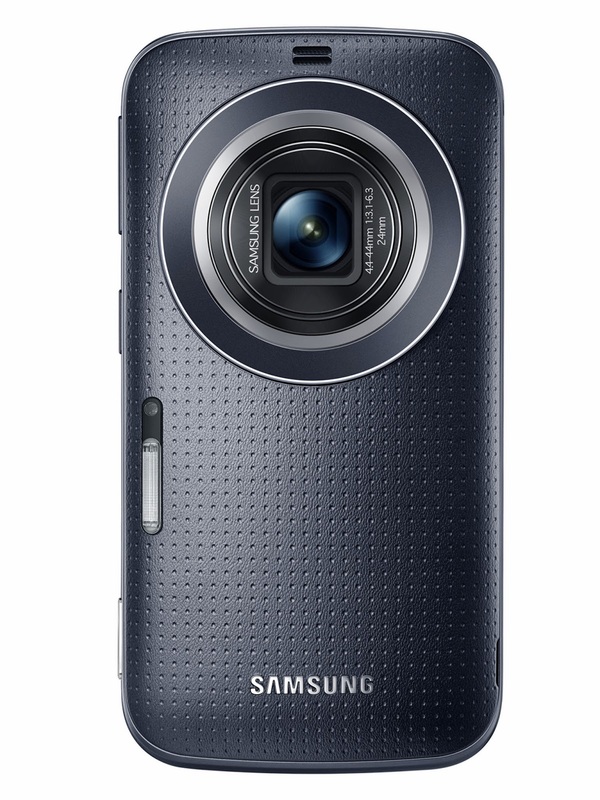 The device has a xenon flash with an LED autofocus assist and a 2 megapixel camera on the front of the device. 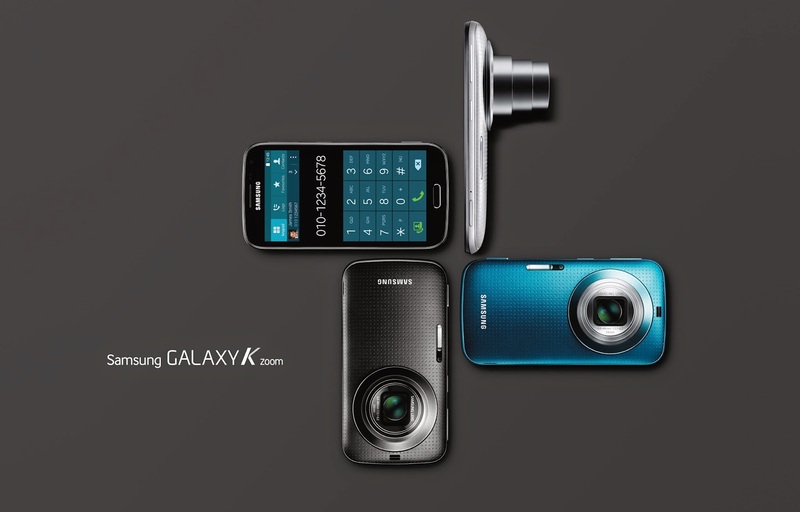 The Galaxy K zoom will be available in May in black, white and blue for €499.